ICND1 tomorrow; any famous last words? Half of the battle starts tomorrow! I feel pretty excited and somewhat impatient! I feel pretty confident but still going over stuff. Any last bits, comments, advice is most appreciated. "Duty then is the sublimest word in the English language. You should do your duty in all things. You can never do more, you should never wish to do less." Make sure you've gotten enough subnetting and hands-on practice. Get a good night's sleep. Good luck! +1 for this.. ensure that you are comfortable! No idea, is that a question? Know TCP and UDP backward regarding IP addressing for TCP. Port numbers are a safe bet along with knowing what services go with the protocol as an example DNS uses both TCP and UDP along with port 53. Wear loose fitting clothes and good luck. Make sure you are awake for it, you don't have a lot of extra time. I finished ICND1 with 3 seconds to spare. So get some sleep and make sure you have had your daily coffee/energy drink/pop whatever you go to liquid energy source is. 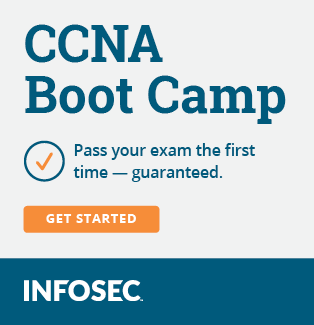 Future Certifications: CCNP Route Switch, CCNA Datacenter, random vendor training. I wonder if he passed... got mine for this sunday...im more excited to get this over with than nervous. Port numbers are a safe bet along with knowing what services go with the protocol as an example DNS uses both TCP and UDP along with port 53. Cisco doesn't put much emphasis on port numbers in their core networking tracks. I'm glad as this mostly falls into the 'unnecessary trivia' pile for me, since I work on routers/switches rather than servers. True but port numbers and protocol combos are the main part of extended access lists and you will definitely see those on the exam and be asked to interpret them. You have the option to configure extended ACLs using the service names rather than the port numbers. Configurations without "magic numbers" are more accessible and less likely to contain errors. I see more value in knowing what services are assigned to TCP vs. UDP vs. both (protocol combos). Without that, you need to look it up or use trial and error. I see less value in memorizing port numbers Cisco commands and sniffer output shield you from. Knowing ports and protocols can be an invaluable troubleshooting tool. If you don't know that BGP connects on TCP/179 then seeing that port blocked while reviewing an ACL or Firewall log won't help you figure out why BGP neighbors don't come up. Remember that with most things Cisco, the trick is not to find the right answer but prove beyond a shadow of a doubt why the other answers are wrong - then you will ace the test. I gotta disagree with you just a bit on that NetVet Knowing ports and protocols can be an invaluable troubleshooting tool. Good counter-point. I agree knowing that BGP uses port 179 is practical knowledge for someone with a career focused on routing/switching, since it's a router-to-router application. I don't worry about memorizing the ports for what are predominantly server-to-server or PC-to-server applications. Knowing that tends to be more important for desktop/server guys. Cisco/Juniper/Brocade also don't place much emphasis on their port numbers in core routing/switching certifications. While there are exceptions (web & telnet), I can't remember any time in the recent past where being able to recall the port number for POP or Kazaa or DNS off-the-top-of-my-head was either necessary or very helpful. Port numbers on Extended ACLs can be described in either integer value or common name and it is useful knowledge to be able to interpret them regardless of which method is used. In reality, and of course we can all attest to this since we have all taken Cisco exams: ACLs are described both ways on the tests, so know both ways. 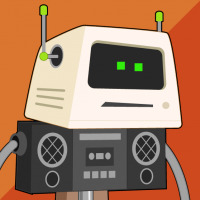 I can't remember any time in the recent past where being able to recall the port number for POP or Kazaa or DNS off-the-top-of-my-head was either necessary or very helpful. Heh - I don't know how many firewall engineers I've had to tell to open port 53 for DNS. Every Cisco exam I have taken has had questions regarding protocols and ports. It could make a difference between a pass and a fail over a few questions and they do put these in their core networking track, as you call it and it will appear in the exam in one form or another. I was under the impression that OP was referring to the exam not the unnecessary trivia pile. Thank you for your helpful comments. Me too! UDP for queries and TCP for zone transfers but they still don't get it! Keep this bookmarked and you are good to go in the real world. Won't help you on an exam though.